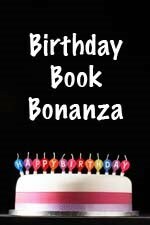 Happy Birthday Author: Birthday Book Bonanza Ends and Blog Hop! Birthday Book Bonanza Ends and Blog Hop! Thank you to every one who participated this month in the Birthday Book Bonanza. I had around 30 new visitors to my blog that signed up for the contest and many of them became followers! Thank you to everyone who shared this blog on Facebook, Twitter, and through word of mouth. I will definitely look to have another Bonanza contest in the future. Stay Tuned. Winner # 3 - Kristie, A Beasty Story by Bill Martin Jr. This week there is a Book Blog Hop to help people find new book blogs to follow. There are quite a few out there listed on Crazy-for-books.com. Check it out! Dang... found you just too late. My first graders LOVE Captain Underpants.